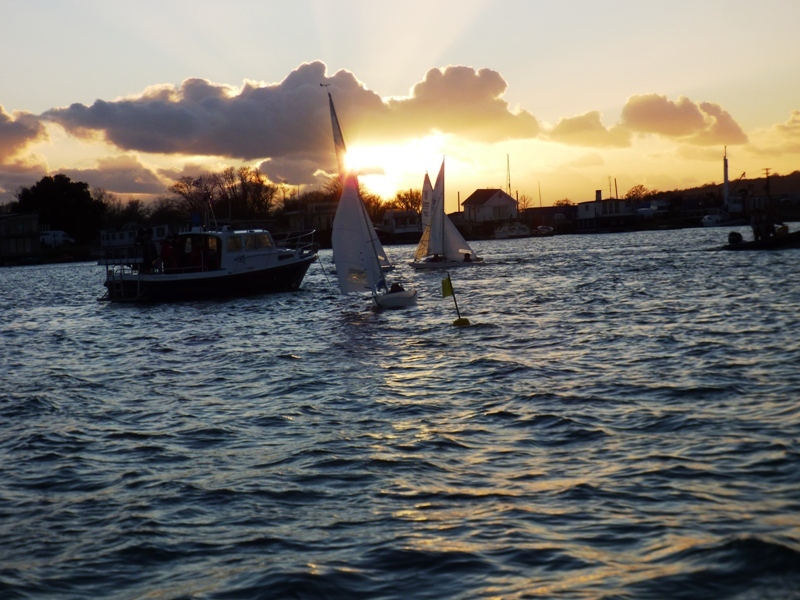 With the tide only making slowly there was nearly a 40 minute postponement waiting for enough water to allow the 16 Illusions to be launched and for enough water for racing in the harbour. However once the sequence was started, we managed to rattle through the races in the bright sunshine and F2 gusting F5 NWesterly breeze. 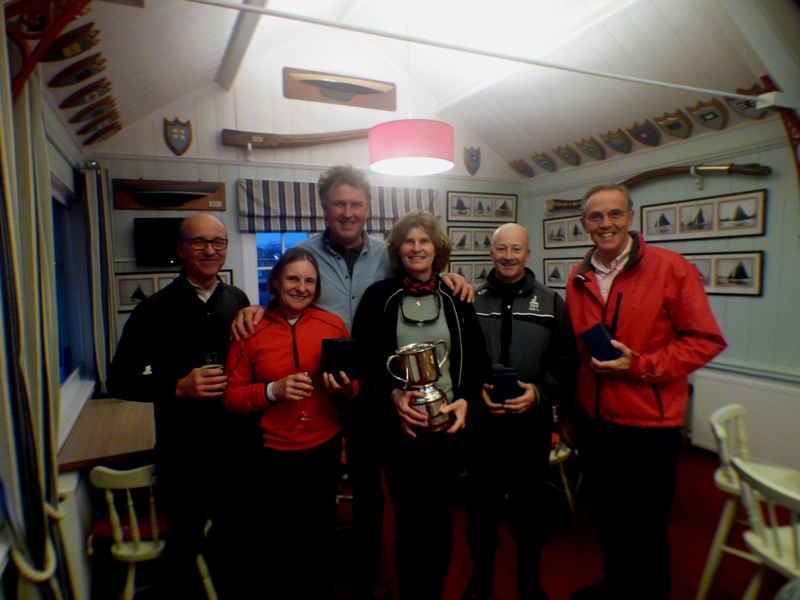 In the first flight, the two key races were between the RVYC team of Mark & Jo Downer and the CCYC team of Graham & Julia Bailey and between the SVYC team of Raymond Simonds & Alastair Speare-Cole and the ASA team of David Peerless & Tom Barker. 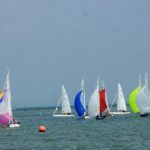 Although both were very close, the first scalps went to CCYC and SVYC. 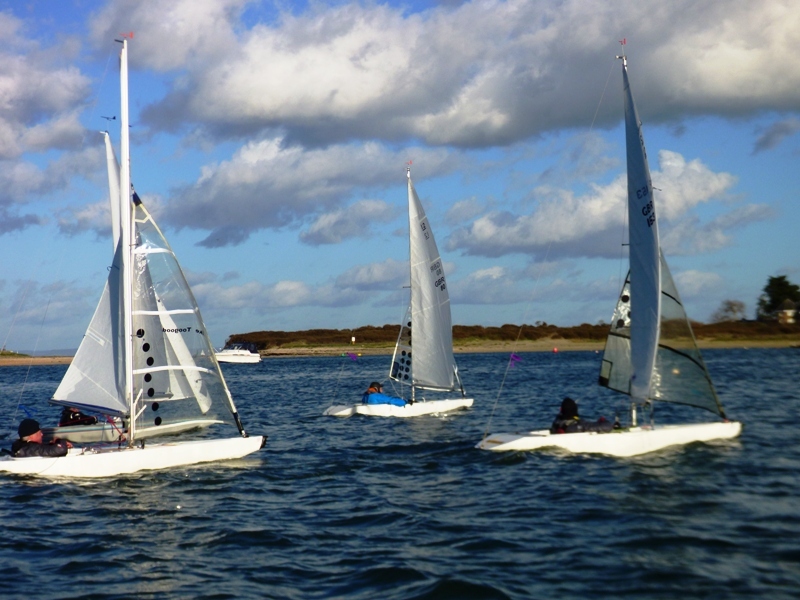 In the second flight, the Downer’s started their run of 6 wins by beating ASA and CCYC & SVYC nailed the ISC team of Bill Daniels & George Downer and the RTYC team of Richard Ambler & Andy Christie. Meanwhile the BSC team of Mike Toogood & Hugh Doherty won their only race of the day against the EWCC team of Philip Russell & Olly Laughton-Scott. The key match in the third flight was the last race between RVYC & SVYC and although close, Mark & Jo took first and second. There were no surprises in either of the fourth or fifth flights with victories going to the stronger teams. In the sixth flight, the ASA team had a great race and managed to come in just ahead of team Bailey (CCYC); however the real surprise was the EWCC team who somehow outwitted the SVYC team on the final run to the line despite best efforts by Raymond who successfully created enough space for Alastair to move from last to first only to then sail the wrong side of the pin and have to unwind himself. However although possibly the closest race of the day, they (Raymond & Alastair) managed to hold off the Bailey’s in the last race of the last flight of the day. It was nip and tuck as they started the final run for the line; indeed it could have gone either way as they approached the line, but with Raymond managing to position himself so in such a way on the starboard gybe that he was able to luff both of the Bailey boats away from the line, it was a first and second for the SVYC team. With the tide an hour later on Sunday, it was decided that only the top four would go forward for the semi-finals and finals with some fleet racing for anyone else wanting to race. The first semi-final will be the Downer’s (RVYC) against the Bailey’s (CCYC) and the second will be SVYC against ASA. 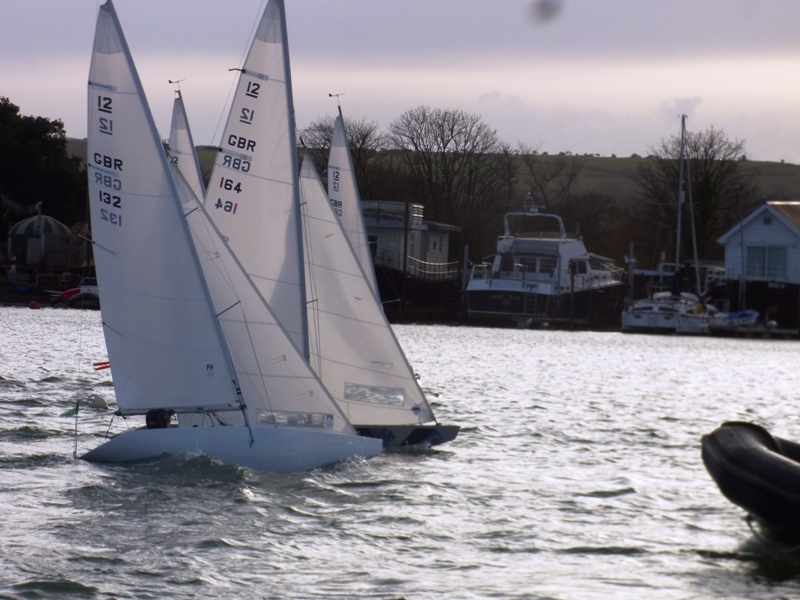 Although not quite as sunny as the previous day and as it turned out, not as windy as forecast, Sunday’s finals saw some close racing even though the four best of three matches (two semi-finals, the final and the plate final) all finished with straight wins. 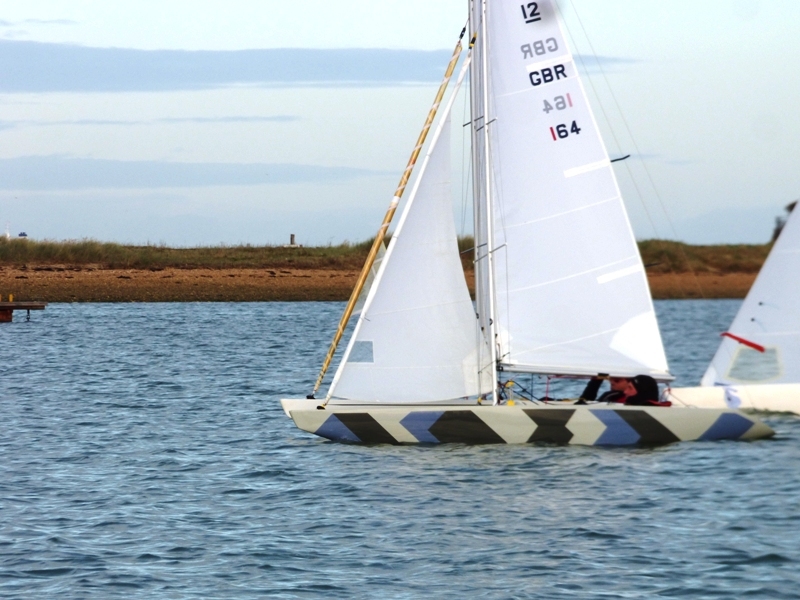 In the first of the semi-finals, the Downer’s found the better boat speed and Mark’s experience & boat handling skills and Jo’s steadying influence gave them the edge over Graham & Julia Bailey in the relatively light airs. 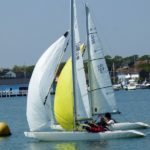 A similar fate faced the ASA team of David Peerless and newcomer Tom Barker who were out sailed by Raymond Simonds & Alastair Speare-Cole, despite Alastair having to do a regain after being OCS at the start of the first race. 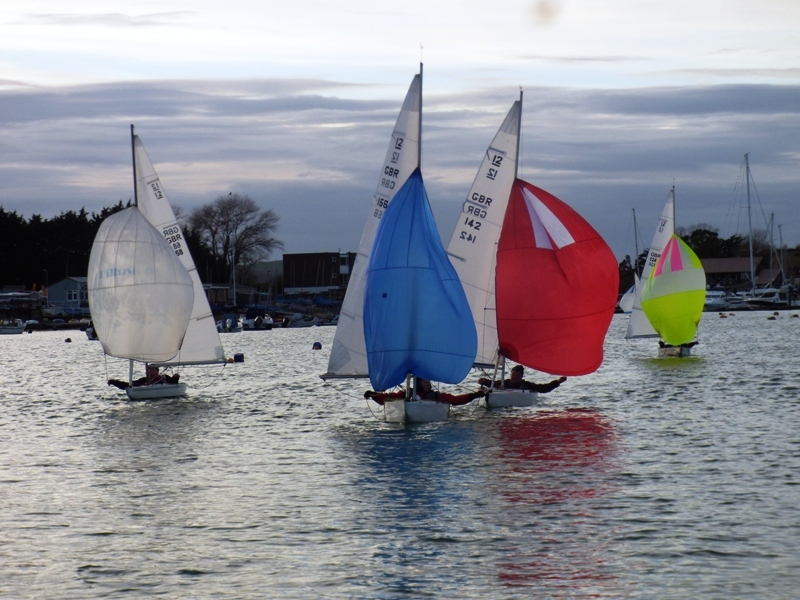 With only just over two hours of sailable water before it got dark, the PRO, Jonathan Peel, had announced at the briefing to limit the final to the best of three races (rather than risk running out of light trying to get through the normal best of five races). 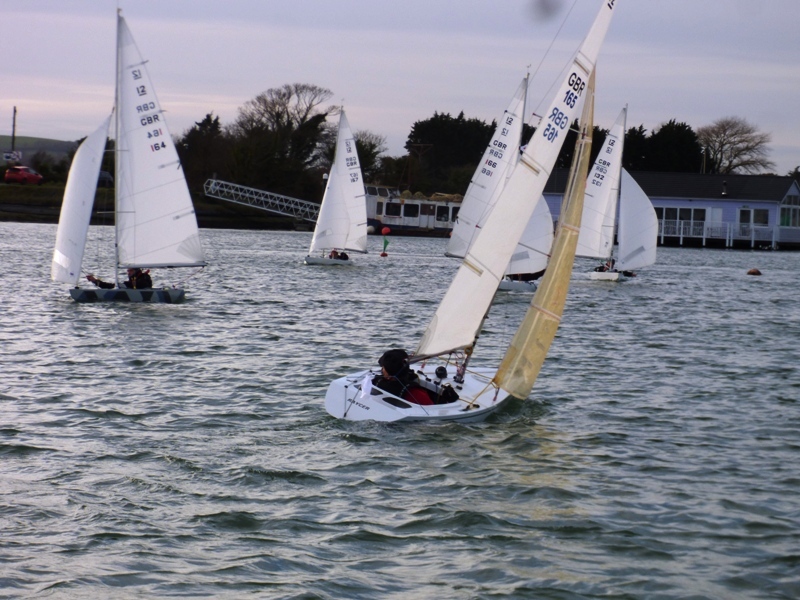 There were plenty of place changes in the first race which saw Mark managing to claw his way out of last place at one stage to give RVYC a win. In the second race, the Downer’s were dominant from the start and despite best efforts never gave Raymond or Alastair enough room to seriously threaten their lead and stop them taking their second win to become this year’s champions. It was a similar story in the plate final where the Bailey’s were just too consistent for David & Tom and won both races from the front. Well done to all the finalists but of course in particular to Mark & Jo who take the trophy home this year. Also of course to the runners up, Raymond & Alastair and to Graham & Julia who were third. 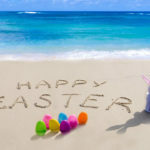 A big thank you also to the Race Management team and the Umpires – without who, the event would not be able to be run. 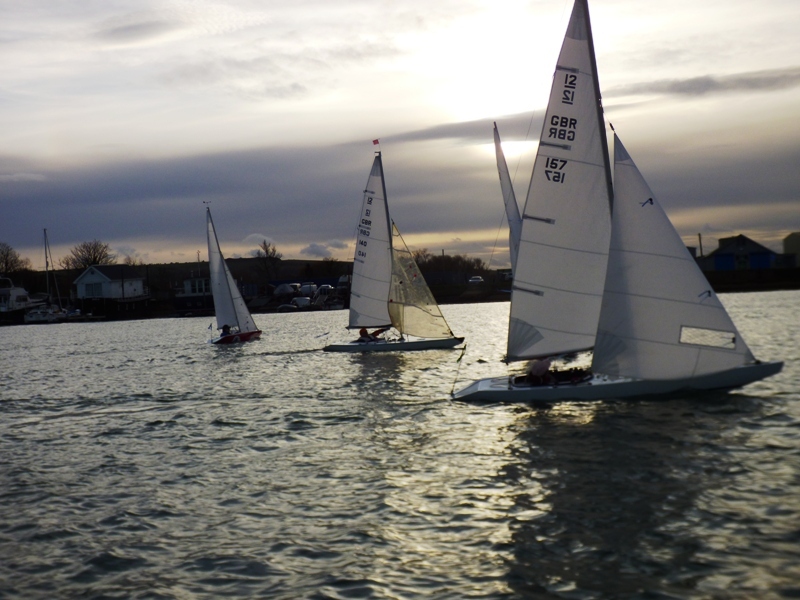 Whilst the finals were being run, six of Saturday’s entries launched and enjoyed three fleet races. 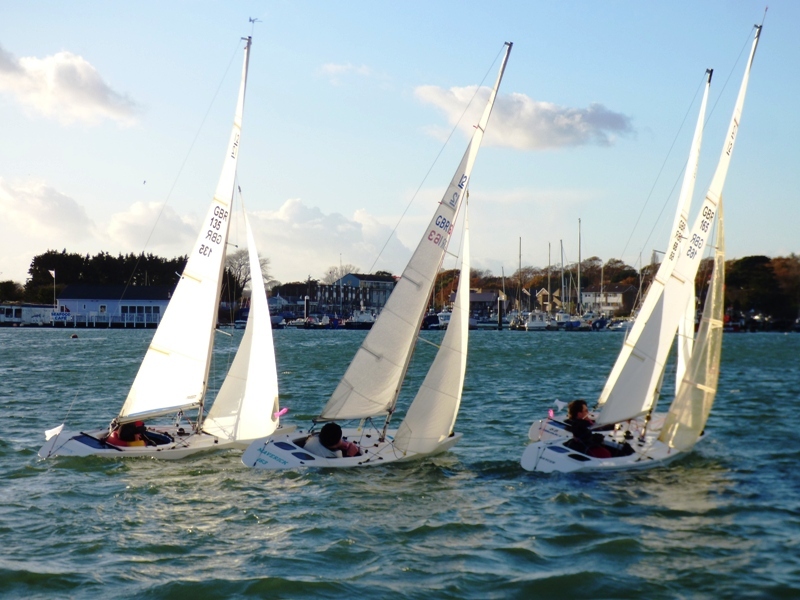 With the breeze conveniently coming down the harbour, they self started and had an excellent windward/leeward course using the BHYC’s turning mark in front of the Club as the windward mark. A nice way to spend a Sunday afternoon.